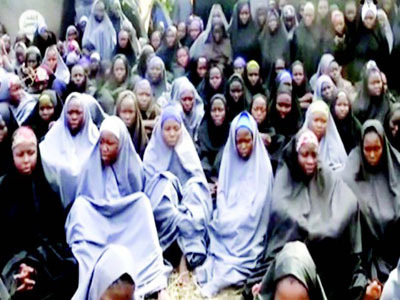 It has been revealed that both the British and United States (U.S.) governments knew where some of the schoolgirls kidnapped by Boko Haram members from Chibok but felt powerless to launch a rescue mission, it has been reported.A former British High Commissioner to Nigeria, Dr Andrew Pocock, has said that a large group of the missing girls were spotted but the governments felt any rescue attempt was risky. “A couple of months after the kidnapping, fly-bys and an American eye in the sky spotted a group of up to 80 girls in a particular spot in the Sambisa forest, around a very large tree, called locally the Tree of Life, along with evidence of vehicular movement and a large encampment. “A land-based attack would have been seen coming miles away and the girls killed, an air-based rescue, such as flying in helicopters or Hercules, would have required large numbers and meant a significant risk to the rescuers and even more so to the girls.